‘Treaty House isn’t special’, Olley declared. Imagine his surprise when the house talks back! Journey with Olley as he learns not only is the Treaty House special, but so are the events that have happened in and around it, events that have shaped New Zealand to become the nation Olley is part of today. Every year, I angst over sharing one extremely rare copy of the Treaty house by LeAnn Orams amongst all the classes in my Junior School. Not only is it written for younger readers but so much care has been taken in the research by the illustrator and the author. Waitangi Day – the New Zealand Story : what it is and why it matters. It is written and published in a very similar style to her equally awesome “Anzac Day“. You can find teaching notes to accompany the book here. The treaty house / written by LeAnne Orams and illustrated by Roger Twiname. Published by Raupo Publishing NZ Ltd (formerly Reed and an imprint of Penguin Books NZ), 2007. Out of print. Borrow a copy if you can, from your local public library. Published by New Holland, 2015. “The new kid in school needs a new name! Or does she? 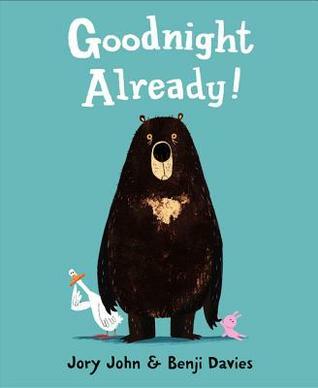 This is one of those ‘oldie but goodie’ picture books and a great title to use at the start of the year. It fits with the PYP Learner attitudes tolerance and independence, and is wonderful used with a selection of picture books on friendships, differences and acceptance. It is very useful in a school like ours which has a lot of children new to New Zealand – many children have a Korean or Chinese name and an adopted english name and it is also a good reminder to their peers about the importance of names, cultural differences, kindness and acceptance. Published by Random House, 2003. This paperback edition is till in print and available via Library Supppliers or the Book Depository or to borrow from Auckland Libraries. In this beautiful picture book by Hawaiian artist Emily Hughes we meet a little girl who has known nothing but nature from birth – she was taught to talk by birds, to eat by bears and to play by foxes – she is unashamedly, irrefutably, irrepressibly wild. That is, until she is snared by some very strange animals that look oddly like her, but they don’t talk right, eat right, or play correctly. She’s puzzled by their behaviour and their insistence to live in these strange concrete structures known as ‘apartments’. There’s no green here, no animals, no trees, no rivers. This is beautiful – one of those picture books where you and your favourite small person will spend hours looking at the details in the illustrations. Lovely story of a “feral child” who lives a wild but innocent life in a beautiful forest with animals she loves and who love and care for her. Strange two-legged animals arrive in the forest and take her to civilisation where they try and change her and make her conform to societal norms regarding dress and behaviour, without regard for her nature and happiness. She returns to the forest with the unhappy dog and cat from the same household. This book is in a ton of ‘best of lists’ and deservedly so. Please see this gorgeous post from Brain Pickings which shows the illustrations beautifully. Take a look at the author website – Emily Hughes has produced some beautiful work for other books and authors. I think we might need a few more Flying Eye books in our collection…. The story reminded me the book “Wild Child” by Jeanne Willis as both are the story of a wild girl child – but they are totally different in terms of story and style of production. It might be interesting to compare the two with older students looking at picture books as a format as some of our students do in Year 10 for design studies. Published by Flying Eye Books, 2013. I have had a few queries about how we went about the process of genrefication, so here goes! Genrefication – is when fiction is arranged by genre rather than by author name in one overwhelming A-Z sequence. The section on genrefication was my touchstone – every time I had a twinge of self-doubt during this process I referred back to Jennifer’s comments. The objective of genrefication is to make finding a book much easier for students. In a student-centered Library you want students to spend their time enjoying books not searching for books (which usually means wandering the shelves and feeling frustrated, and taking a book…any book…. because their teacher tells them they have too). Not being able to find books they like is one of the biggest barriers to kids becoming readers. In a genrefied collection students will discover other authors and books similar to their favourites and it is possible to lead them to other genres by helping them appreciate the crossover factor between them e.g. “Oh you liked the part in the time travel book where it was set in the Middle ages?…” perhaps a cue to explore historical fiction. Students ask for books by genre more often than by author “Where are the funny books?” being the request I hear most often. It is far more fruitful working one on one with a student exploring a genre and its possibilities, within the physical space and distance of a few shelves, rather than trying to remember author and series names on the fly. No more rushing around the shelves with the child in tow – one can calmly talk about the options and make choices right there. So how did we physically genrefy and change the collection? My approach was a little unorthodox. I didn’t even bother printing off lists from our LMS to start this project. I had done a few tentative searches but discovered many books had multiple subject headings for multiple genres. I also wanted to approach our shelves as our students do. It was an eye opener for me. Many books are very difficult to identify by genre in an A-Z sequence and students don’t have the benefit of the inside knowledge we do e.g. when you see a row of spines of books by a particular author it usually equals a particular genre! Our Fiction collection is small (2500 titles) as we had already split off early readers and first chapter books earlier in the year, so I didn’t think it would be too big a project. I had been living and breathing genrefication for some time before hand. Every time I handled a book I would consider which genre it belonged to and thought long and hard about where titles would be placed based on the preferences and reading habits of the students who liked to read them. 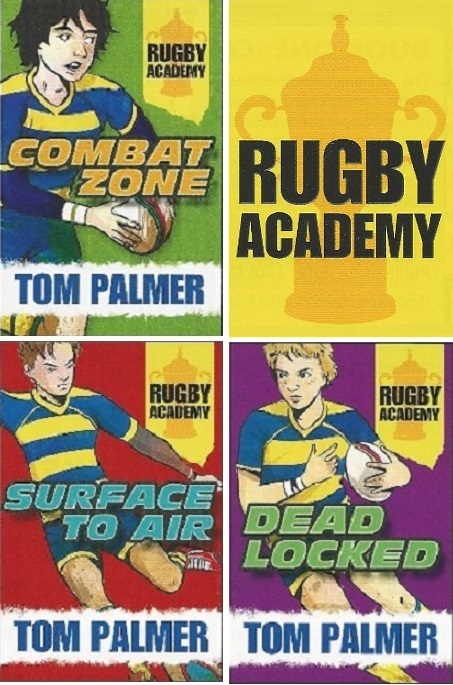 Firstly, I created new collections in our LMS for the main Genres – so as well as the existing collection of Junior Fiction we now had a specific collection for each genre. Please note that initially Realistic, Animals and Fantasy weren’t split further into sub-genres as they are now. The Junior Fiction collection will disappear from the LMS once every book has been changed. The genres also reflect the curated genre collections we have used in our OverDrive collection. I walked around our shelves and pulled out all of the funny books and series I recognised and knew. These were kept in alpha sequence on a trolley (cart). I scanned all the barcodes into the LMS, searched for the matching copies and came up with a set. I then performed a ‘global change’ and changed the collection from Junior Fiction to Junior Fiction Funny. Immediately after this (to avoid duplication and rescanning), I ran a report and generated new spine labels for the set making sure this was in alphabetical order according to the cutter number and printed it off. As the books were still in alpha order by cutter, it was easy peasy to add the spine labels (which were in alphabetical order too). I then added the appropriate colour code for the genre. The orange dot has been used in our library to identify Junior School Books. We are still using this as if and when the Middle/Senior Library genrefy it would be desirable to use the same colour strips (e.g. they could use the same blue for science-fiction as the Junior Library and add an appropriate label sticker for a sub-genre of dystopia – keeping the genre collections continuous between the collections and presenting a cohesive experience for students graduating from Junior to MS/SS Library). In a Middle/High School Library I would consider using themes as well as genres. I pretty much followed this process for each genre. If I discovered something that belonged to a genre I had already done – these titles were put in small piles and processed in batches. (The books currently on loan will be processed each day as they are returned). After I had pulled out the books where I was confident about the genre they belonged to, then it was then a matter of going through the books that were left on the shelf and checking them individually – I used the Auckland Libraries catalogue, GoodReads, Publisher websites, consulted with colleagues and asked students for their opinions to help with this. Tackling one genre at a time made the process feel far more manageable than pulling every book off the shelf and kept the overwhelming piles to a minimum. It also felt more strategic than tackling a single shelf at a time. By batch processing the spine-labelling and stickering for each genre it was an efficient process and easier to coordinate help for this task. (This approach would work for a Library wanting to gradually genrefy – choose the most sought after genre first and work through). I left Fantasy until last as it was not only our biggest genre, but also had the most titles that could possibly fit into other genres (in particular, spooky, and science fiction). I split off books about Dragons and those fantasy titles based on Fairy tales, as we get asked for these often. The main Fantasy genre still looks large (it is 1/3 of our fiction) so I am considering splitting off the titles based on myths and legends. Many books were weeded during this process – but some books have been given a second chance at life. If they remain unchecked at the end of 12 months after exposure within a genre and promotion they will be weeded. One of the immediate benefits is that I can now see exactly what we hold in each genre and what state it is in. As a result, we will be purchasing more for the sports fiction and the spooky collections and reducing the number of fantasy titles purchased this year. It will be interesting to see the number of loans vs the number of titles in any genre. Seeing a genre as a whole makes weeding a breeze! Each genre is colour coded and each new spine label includes the genre name. If a genre is split into sub-genres then a picture sticker is added. Misfiled books are now very obvious to our student shelvers. (Redoing the spine labels for every book in the new style and tidying up misplaced orange spot labels etc has given the whole collection a fresh look). As we went through this process I also doubled checked to see if we were missing parts of a series and reordered them and I weeded vigorously at the same time. We are still using the first three letters of an author’s name to keep an author’s books or series together within a genre. Some authors are now shelved in more than one location (e.g. you will find Michael Morpurgo stories in Animals, Historical and War stories and Jacqueline Wilson in both Realistic-girlzone and Historical). This is a positive thing as it is a great way to introduce students to another genre. What still needs to be done before students arrive back from vacation? Signage (the black wire stands on top of the shelves are waiting for new BIG signs) and we need to make QR code links to connect the physical genre collections to the digital titles we own in OverDrive. Jennifer LaGarde’s article was also published in a special edition of SLANZA’s Collected Magazine. I recommend a thorough read of this for examples of other innovative changes happening in NZ school libraries. See also the brief article about genrefication at Cambridge Highschool. “From the creator of the national bestseller It’s a Book comes a timeless story of family history, legacy, and love. I really love this book – it is a lovely one to share on Grandparents Day. It is also a very lovely book to share with children and to talk about how things have changed between the generations and also to gently explain about memory loss and aging. The illustrations are gentle and calming. This isn’t a picture book to be read in a hurried fashion and the lush green topiary and the connecting branches and other objects that lead from one phase of the grandfathers life to another support this slowness. I have always loved topiary and it is wonderful how the horticultural imagery connects with the story elements. 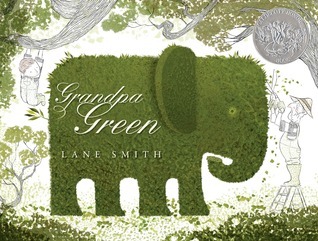 Grandpa Green / Written and illustrated by Lane Smith. Published by Roaring Brook Press, 2011. Available to borrow from Auckland Libraries.